I am a big fan of all things Walking Dead, the Telltale Video Game absolutely blew my mind a couple months ago, and ranked up with some of the best Video Games I have ever played. I am also completely up to date on all the comics, and no I am not going to make comparisons or spoil anything that may/or may not happen in the future on this post. Out of the three mediums Comic, Video Game, and Show I can easily say the show represents the weakest link of The Walking Dead universe. Don’t get me wrong, I still love the show and it still stands as one of my favorite shows currently on television, it just feels like over the three short seasons the show has struggled immensely to find its focus. Season 3 started out with some intense merciless zombie-killing action. There seems to be a divide in what people look for in the zombie genre. It’s either intense gorey bloody zombie-killing action or the harsh realism and psychological deterioration the zombie apocalypse would have on mankind. The Walking Dead shoots for the ladder, and it is aiming to please everyone in Season 3. Starting out with an apparent passage of time, the group of survivors set up camp in an infested prison. That’s one storyline, and after a startling death early in the season, Rick begins to lose his mind. I never fully understood why this death effected Rick so much and not his son Carl who becomes emotionless, this mental effect isn’t brought up or apparent until the final episode of the season. Our other storyline is with Andrea who becomes fond of a man who calls himself The Governor and runs a small preserve away from the zombie infested world. Unfortunately he is insane as well. This set up is genius in theory and plays out very well in the comics. It plays out differently, but still well in this season. The season remains engaging and ambiguous and does a good job of pulling you into emotional moments. The episode “Clear” was perfection. The only episode I’d give a perfect 5/5 to in a season of 4/5 and 3.5/5 episodes. A surprise guest performance blows the entire regular cast out of the water. This episode should be AMC’s submission to give the show award status. As the fuse approached the end of the wick of the finale, I was excited. The way things go down in the comic were HUGE, I wasn’t expecting anything huge here, but it would’ve been nice to actually have a decent finale. 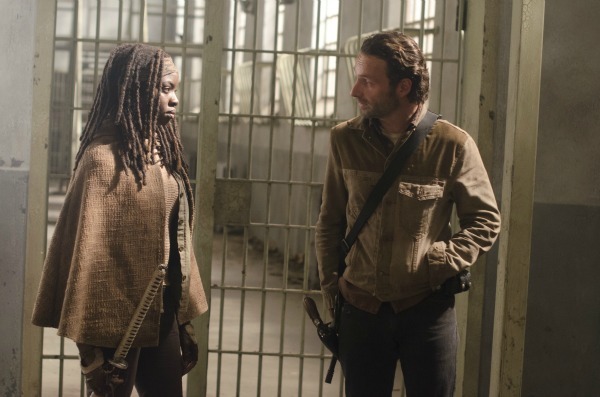 The finale serves as the worst episode of the season, Andrea has never been a brilliant-minded character and she became one of our main characters this season, half of the season focused on her storyline. She makes mistakes, then more mistakes and when it we end the season without a redemption or even a redeemable purpose for her characters story arc here. The finale separates itself from a string of impressive episodes leading up to it, and it is a major disappointment. The season as a whole though can still be called the best season of the shows run. With more action, more suspense and drama that isn’t dragged across an empty field. The characters became more interesting, well the main ones. Norman Reedus still stands on top of the cast while David Morissey plays the Governor to the tee, especially toward the end. Andrew Lincoln has his moments, and it’s not his fault, but the “loud whisper” talking is starting to take its toll. Just like the comic Micchone makes herself my favorite character and they found the perfect actress for her. She is the most logical thinker, and the creators weren’t afraid to put a human behind that “badass” finesse.